THE Duchess of Sussex opened up about her break up with Prince William when she was at university and said the heartbreak gave her the “time and space to re-centre” herself. 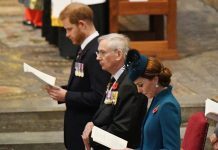 The couple’s recollection of the split and rocky patch in their relationship surfaced in their official engagement interview in November 2010. The break up clearly did not affect their deep relationship which has stood the test of time and seen them become parents to Prince George, Princess Charlotte and Prince Louis. They of course had their royal wedding of the century in April 2011. During the engagement interview, Prince William said: “We did split up for a bit. We were both very young, we were both at university, we were both finding ourselves as such, being different characters. The Duchess of Cambridge said: “I at the time wasn’t very happy about it but actually it made me a stronger person, you find out things about yourself that maybe we hadn’t realised, you can get quite consumed by a relationship when you are younger. When asked by the journalist Tom Bradby during the engagement interview whether the split gave her the chance to re-centre herself, Kate nodded and said “definitely”. While the pair were separated Kate headed to Ireland with her mother Carole Middleton. Although they have never said what the reasons for the split were, pressure from the paparazzi has been tipped as being a big source of tension for the couple. The couple were thought to have broken up in March 2007 but they were back together by October of the same year. The press only reported the breakup in April as they were unaware prior to this. The couple met when they were studying at St Andrew’s University in 2001 where they both studied History of Art. Prince William spotted the brunette beauty at a charity fashion show in 2002 which was when they started to date. They then shared a house together with two other friends in 2002. 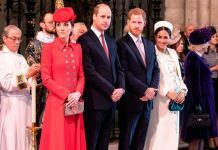 Their relationship has also survived a period of being long distance as just after their graduation, Kate went to London to work for her parents’ business and Prince William began military training. Kate admitted that when she first met Prince William she “went bright red and scuttled off feeling very shy”.